Planned flexibility. To the taste of architects and designers. Plug & Light stands for a maximum of flexibility when planning functionally reliable lighting design. Merely the positions of the sockets and switches for future light sources need to be planned during the building phase. The appropriate design and the desired light attachments can be reselected again and again, even after completion. Sampling the matching Plug & Light luminaires is incredibly straightforward, time-consuming installation and de-installation a thing of the past: once the light socket is installed, the various light attachments are quickly attached and interchanged thanks to the magnet system. One electrical installation – multiple lighting scenarios. With Plug & Light, switch and luminaire design come from a single source. For the first time, switches and luminaires are available in a uniform language of form, colour, and material, and the entire lighting installation can be perfectly matched to the architecture and interior. In upmarket residential buildings, for discerning owners, and in the hospitality sector. 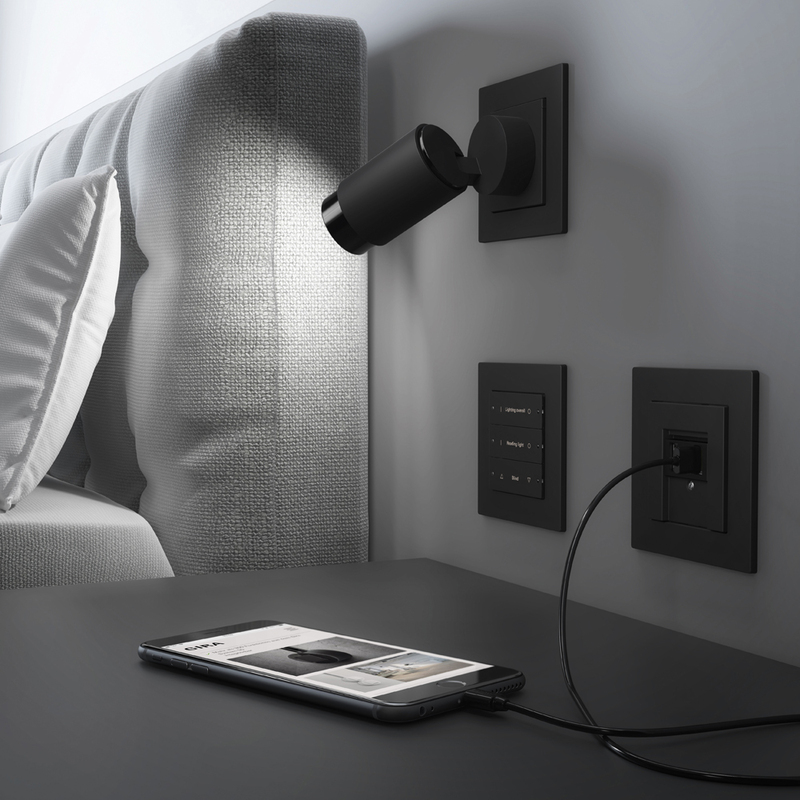 Plug & Light – an innovative solution in upmarket residential construction and for discerning owners.